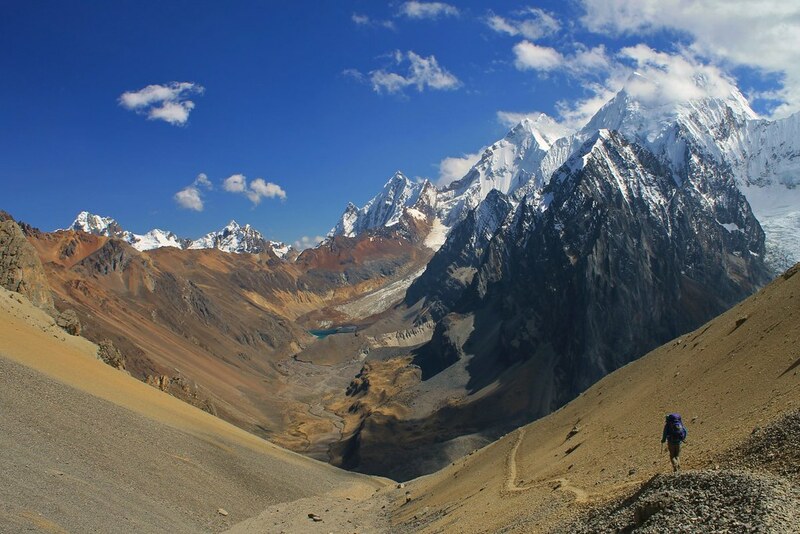 The Cordillera Huayhuash has been nominated in many publications as one of the “classic” trekking circuits of the world. The Huayhuash is a compact, rugged range, and includes the second highest peak in Peru – Yerupajá Grande – 6634m and also Siula Grande made famous by Joe Simpson in his book “Touching the Void” and in the subsequent film. Every day on the trek hikers are treated to awesome close views of snow capped peaks, glaciers and blue trout-filled lakes. We offer a range of treks from a full circuit of 15 days including a visit to Siula Grande Base Camp to a “mini” Huayhuash trek of 8 days. The Cordillera Raura is a remote range adjacent to the Cordillera Huayhuash not well known by tourists and infrequently visited by trekking groups. It is a hidden paradise of lush green valleys, waterfalls and hundreds of trout filled lakes, sparsely inhabited by local farmers.